World Wetlands Day on Feb. 2 marked the date when 18 nations signed the Convention on Wetlands in 1971, in the Iranian city of Ramsar on the shores of the Caspian Sea. Since that time, scientists have shown that wetlands provide many valuable services, from buffering coasts against floods to filtering water and storing carbon. These five articles from our archive highlight wetlands’ diversity and the potential payoffs from conserving and restoring them. Wetlands line coasts in many parts of the world. They act as natural sponges that soak up floodwaters and absorb force from storm surges, protecting communities further inland. Working with Lloyds of London, UC Santa Cruz researchers Siddharth Narayana and Michael Beck sought to quantify the value of these functions. Using insurance industry storm surge models, they calculated that during Hurricane Sandy in 2012, wetlands along the U.S. Atlantic coast prevented more than US$625 million in direct property damage by reducing storm surge. They also estimated that marshes in Barnegat Bay, New Jersey reduced annual losses from flooding during smaller storms by an average of 16 percent, and up to 70 percent in some locations. 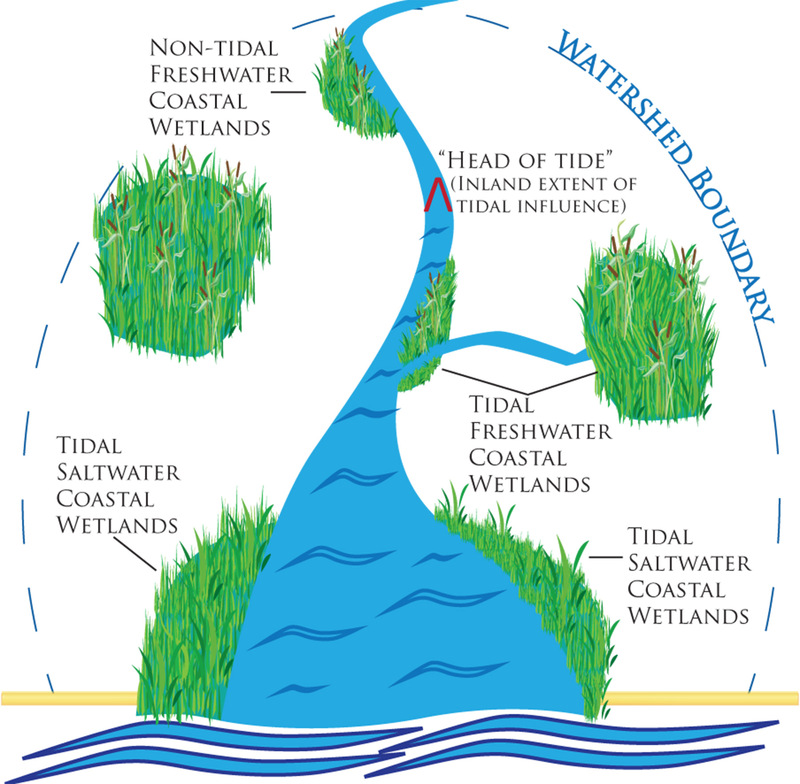 Coastal wetlands can extend well inland, transitioning from saltwater to brackish and freshwater. Wetlands store large quantities of carbon in plant tissue and soils. But as climate expert Williams Moomaw and wetland scientists Gillian Davies and Max Finlayson point out, no global climate change agreement calls for protecting wetlands as a way to slow climate change. And around the globe, wetlands are constantly being drained, diked and paved over. Mangrove forest in wetlands of Lebak, Sultan Kudarat, Philippines. Mangroves are actually benefiting from climate change in some regions, such as Florida and the Gulf of Mexico. Villanova University biologist Samantha Chapman has found that mangroves are becoming more abundant in these areas, moving into zones formerly dominated by salt marshes, which typically are found in cooler zones. Moreover, she notes, mangroves are not building new shoreline quickly enough to keep up with sea level rise in all locations. As her findings show, there is still much to learn about how climate change will affect different types of wetlands in various locations. The Okavango Delta in Botswana, one of the world’s most unique and valuable wetlands, supports numerous species of animals and birds. Brassy minnows, found throughout the northern U.S. and Canada, live in cool, slow moving streams, creeks, overflow ponds near rivers, boggy lakes and ditches. Small channels in river networks also harbor microbes that are very good at removing contaminants from the water. And these channels slow down heavy rainfalls, allowing water to soak into the ground and reducing the risk of flooding downstream. Jennifer Weeks is an Environment and Energy Editor for The Conversation. This article is republished from The Conversation under a Creative Commons license. “Protecting the world’s wetlands: 5 essential reads” offered reasons for protecting wetlands, but I saw no reference to “essential reads”. Silent Spring (of water)? 1. Does a numbered bullet item constitute an “essential read”? 2. Have I just created two “essential reads”?